Lowry’s insurance career began in 1981 at Aetna Property & Casualty. Two years later, he joined Baldwin & Sons. In 1991, Lowry and Chuck Davis merged their firms to found DavisBaldwin Insurance and Risk Management. Over a nine year period, DavisBaldwin grew into the largest privately owned Insurance and Risk Management firm in Florida. It was nationally ranked as one of the top 30 largest privately held brokerage firms before its sale to Wachovia Bank in November 2000. While at DavisBaldwin, Lowry co-founded Advantec, a national Professional Employer Organization (PEO). Advantec provided outsourced payroll, human resources, and employee benefits services to small and medium sized employers within the confines of a co-employment contract. Advantec represented over 900 employers and 24,000 employees before its sale to Oasis in 2010. In February of 2006, Lowry and his partners, Elizabeth Krystyn and Laura Sherman, formed what is today, Baldwin Krystyn Sherman Partners (BKS). BKS is a highly customized boutique Insurance and Risk Management Brokerage. In 2012, Lowry and his partners formed Baldwin Risk Partners to serve as a holding company for further investment into the Insurance Brokerage space. Lowry is recognized within the Florida Insurance Brokerage industry as a leading advisor of Insurance and Risk Management solutions to large, multi geographic employers. 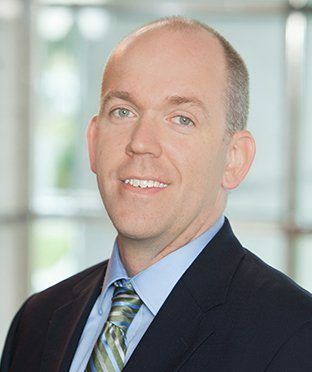 He has served on the Board of Directors of Hartline, Tampa’s Lowry Park Zoo, Academy Prep of Tampa and the University of Tampa’s Fellows Forum. Lowry Baldwin is a fourth generation Tampa native with deep roots in the Tampa Bay community. A graduate of Jesuit High School, heattended Wake Forest University where he earned a Bachelor of Science in psychology. While attending Wake Forest, Lowry met his wife Jennifer, of 28+ years. They have three grown sons to whom they have passed on their entrepreneurial spirit and their shared passion for the outdoors, adventure, travel and reading. Elizabeth Krystyn was most recently Senior Vice President of Wachovia Insurance Services and led both their Benefits Administration operations and Bank Sales Integration. Elizabeth started her career with DavisBaldwin Insurance and Risk Management in 1988, prior to Wachovia’s 2000 acquisition of DavisBaldwin. Elizabeth was responsible for leading both sales and service for the Employee Benefits Group. During her twelve years in this role, revenues grew more than twelve-fold. Elizabeth recently completed more than a decade of board service for Tampa Bay’s Lowry Park Zoo, most recently as the Secretary and Treasurer of their Endowment Foundation. Elizabeth is a current member of the Judicial Commission of the Presbytery of Tampa Bay. She has been a member of the Junior League of Tampa for over 15 years. She has her Certified Employee Benefits Specialist designation from the Wharton School of University of Pennsylvania and has taught a number of CEBS courses. Elizabeth has a finance degree from the University of South Florida. She and her husband, Enrique Fueyo, have two sons and reside in Tampa. Laura Sherman has over twenty years solving the risk management needs of the affluent and collections for both private collectors and museums. Prior to starting Baldwin Krystyn Sherman Partners, she served as a Senior Vice President and Managing Director for the Private Risk Management Group for Wachovia Insurance Services. 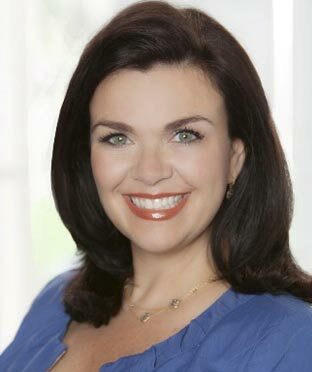 Laura also worked with Chubb where she was the Assistant Worldwide Marketing Manager for the personal insurance division and was responsible for the creation of the Ferrari Insurance Program, marketing collateral, national public relations, and traveled with the PBS television show, Antiques Roadshow. Laura is an instructor with the National Alliance for the Certified Private Risk Management (CPRM) designation. She recently earned the 2016 Power Broker award from Risk and Insurance. Laura is involved in various charitable endeavors in the community, including the board of directors for Meals on Wheels and Children’s Dream Fund. She earned a Bachelor’s degree in Economics from DePauw University and has a Certified Advisor of Personal Insurance from the Wharton School. Laura proudly hails from Ohio. She and her husband, Alden, have two sons and reside in Clearwater. Trevor has a background investing in and working with companies to shape their goals and success. 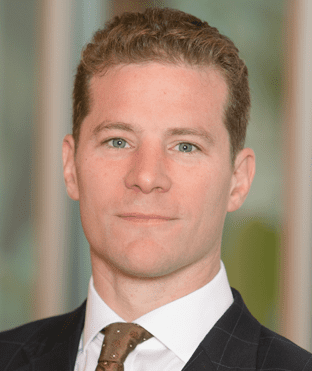 Before joining Baldwin Risk Partners, Trevor held the position of Investment Analyst at the private equity firm Health Edge Investment Partners, LLC. While at HealthEdge, Trevor divided his time between working with portfolio companies on operational improvements and assisting in the execution of new transactions. Trevor’s focus at Health Edge included deal origination, acquisition due diligence, M&A transaction processing, sourcing and structuring deal financing, coordination of third party due diligence, portfolio company monitoring, and investor correspondence. 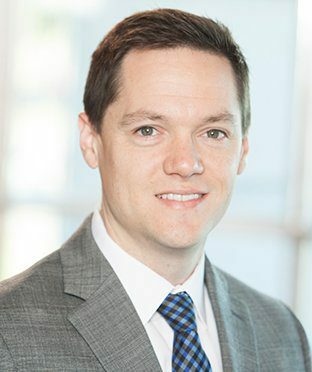 Prior to his position with Health Edge, Trevor held summer internship positions at Advantec, a Professional Employer Organization, where he assisted with rolling out the Company’s HRO product, and Integrita Risk Management, where he assisted with loss control, safety consulting, and loss modeling for several of their National Accounts clients. Trevor graduated from Florida State University with a BA in Risk Management & Insurance. He holds his FAA Pilot’s license and USCG Captain’s license. Trevor is an avid outdoors enthusiast, enjoys spending time with friends and family, and resides in Tampa. 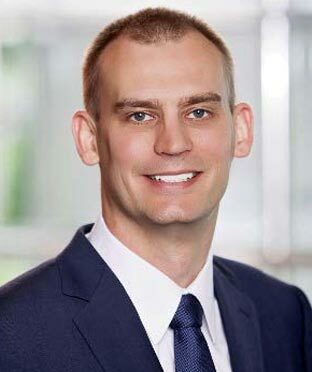 Kris Wiebeck joined Baldwin Risk Partners (BRP) in 2015 as Chief Financial Officer. Kris oversees finance, accounting, and legal. Kris works with BRP leadership to continue delivering best-in-class insurance and risk management services, optimizing operating results and leading growth opportunities. Kris began his career in the Advisory Services practice of PricewaterhouseCoopers, where he consulted with corporate clients regarding matters of financing, mergers and acquisitions, investments and business process improvement. He was most recently Senior Vice President at MMA Capital Management (NASDAQ: MMAC) responsible for United States Investments. Kris has a Bachelor’s and Master’s degree in Accounting from the University of Florida. While at Florida, Kris was a four-time NCAA All-American on the men’s swimming team. Kris volunteers with Tampa Jesuit and Academy swim teams and is a member of St. Mary’s Episcopal Church. He and his wife, Melissa, have two children and reside in Tampa. Joe joined Baldwin Risk Partners in January of 2017, with over 30 years of experience successfully growing multi-geographic service-oriented businesses supported by cultures of collaboration and innovation. As President of the Main Street Group at Baldwin Risk Partners, Joe is responsible for establishing the organizations strategic and operational performance, developing and facilitating the execution of business integration plans, sharing of operational best practices among the BRP Family of Companies, and identifying partnership opportunities. Prior to joining BRP, Joe served as an Operating Partner with Concentric Equity Partners where he was also the Chief Executive Officer for Environment Pest Services, LLC. There he successfully grew the business ten-fold through organic sales and acquisitions. 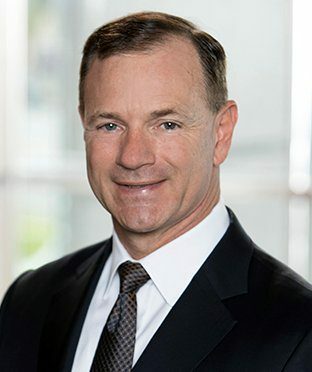 He has also served as the CEO and President of Tire Centers Divisions for Michelin North America, and President of Sears Automotive Group. Joe is committed to delivering operational excellence, colleague engagement, growing shareholder value, and he has a deep passion for delivering raving fan client experience. Joe graduated from Slippery Rock University with a Bachelor of Science degree in Business, majoring in Marketing. He has also completed the ServiceMaster MBA program. Recently, Joe became a Board of Director for Lighthouse Academies which is a nonprofit network of charter schools dedicated to ensuring a college education for students who would otherwise face a future with limited opportunity. Joe and his wife Pam reside in Tampa, Florida. 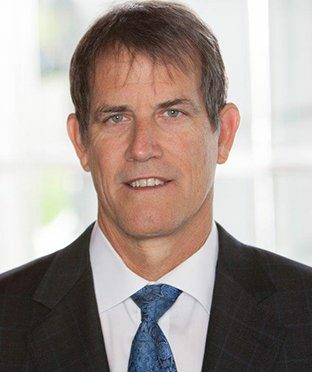 Chase joined Baldwin Risk Partners in 2013 as President of the Medicare Insurance Group. Chase has been hands-on in many areas of the Medicare industry over the past decade, including in direct sales and in senior management at several leading Medicare Advantage health plans. 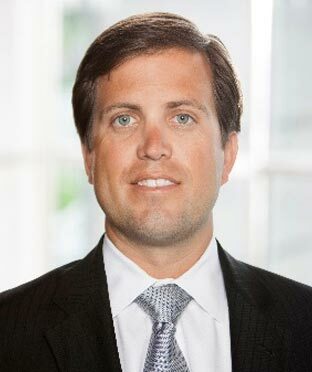 As President of the Medicare division at Baldwin Risk Partners (BRP), Chase is responsible for the organization’s strategic and operational performance, developing and facilitating the execution of business integration plans and identifying opportunities to expand our markets through expanded carrier relationships and M&A. Prior to joining the team at BRP, Chase held the position of Senior Regional Broker Manager at Universal Healthcare. There he was responsible for contracting with outside companies and their agents in several states in order to recruit, train, and grow their Medicare Advantage Distribution. Chase worked with 5,000 direct agents as well as with his management team responsible for a total of nineteen states. Chase’s focuses have included recruitment, developing and expanding sales territory, creating and presenting training material and programs, compliance oversight, sales operations, product development, and relationship building with business partners and field marketing organizations. Chase enjoys spending time with his wife Allison and three sons, and is a serious fan of the Tampa Bay Rays and USA soccer. John Valentine joined Baldwin Risk Partners in 2018 as Chief Partnership Officer. John has more than 17 years of experience closing merger and acquisition, equity, and debt transactions for public, private and sponsor-owned clients across a number of industry sectors. Selected transactions include serving as lead advisor for General Parts International, CARQUEST, and WORLDPAC’s sale to Advance Auto Parts, Inc. (NYSE: AAP); Longs Drug’s sale to Tailwind Partners; Gala Industries sale to Dover Corporation (NYSE:DOV); BWP Corp’s sale to Advance Auto Parts, Savage Arms’ sale to Orbital ATK (NYSE:OA) Lacrosse Footwear Inc.’s (Nasdaq:BOOT) sale to ABC-Mart (TSE:2670); Advance America, Cash Advance Centers’ (NYSE: AEA) sale to Grupo Elektra (BMV: ELEKTRA). Most recently John led the Investment Banking practice in the Mid-Atlantic region at Wells Fargo Securities. Prior to joining Wells Fargo Securities, John was a vice president at Hyde Park Capital Partners, LLC and Athena Capital Partners. John began his career at Keefe, Bruyette and Woods, Inc., where he assisted in the structuring and marketing of sell-side M&A engagements, trust preferred, and mezzanine capital transactions for financial services companies. As Chief Partnership Officer, John is responsible for Partnership execution and due diligence activities in collaboration with BRP’s respective Division and Business Function leadership teams. In addition, John will collaborate with BRP’s leadership team to drive successful integration of new partner firms. John earned his B.S. in Business Administration, with special attainments in commerce, from Washington and Lee University in Lexington, Virginia, where he was a four-year varsity wrestler. John is also a Chartered Financial Analyst. John lives in Charlotte with his wife and three daughters. 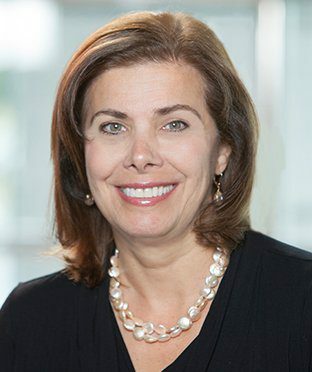 Ellen Morgan joined Baldwin Risk Partners as Human Resources Director in 2015. Ellen was most recently with Chubb Insurance as the Human Resources Manager for a five-state regional area based out of Tampa. Prior to Chubb, Ellen was in Human Resources with ACE-USA in Tampa and Frito-Lay, Inc. in Dallas, TX. Ellen brings 25 years of experience in Talent Management, Compensation, Employee Relations, Employee Engagement, and Training & Development. Ellen volunteers for the American Red Cross and the Francis House. She received her BA in Psychology and her MS in Labor & Industrial Relations from West Virginia University. She received her SPHR Certification in 2002. Ellen and her husband Greg have four children and reside in Tampa. Karen Madden joined Baldwin Risk Partners as Human Resources Director in July 2017 and will have primary focus on our MainStreet division. Karen was most recently with Environmental Pest Services, LLC (EPS) as the VP of Human Resources with a geographic territory in Florida, Atlanta and North Carolina based out of Tampa. Prior to EPS, Karen was the Human Resources Director for 14 years at Comcast Corp in the West Florida market and based in Sarasota, FL. Karen has over 20 years of progressive HR experience working for service related organization such as Arthur Andersen and Sarasota Memorial Healthcare System. Karen is an executive board member of the Boys & Girls Club of Sarasota County and is the chairperson for BGCS HR sub-committee. Karen received her BS in Management from Southeastern Massachusetts University and received her PHR certification in 2003. Karen and her husband Tom have four children and reside in Sarasota. David joined Baldwin Risk Partners in late 2015 as Controller. With more than 10 years of experience in similar fast-growing companies, David elevates the accounting and financial practices at BRP. As controller, David is responsible for strategic planning, overseeing all financial reporting, and managing the accounting team. Prior to joining BRP, David served as Manager of Accounting for Ironman World Triathalon Corporation, there he lead and managed all aspects of the revenue to receivable function and helped to ensure efficient operation across the organization. David lives in Palm Harbor with his wife and two daughters. He enjoys cooking, traveling, watching college basketball (Go Huskies! ), and exploring Florida’s State Parks, especially the Pinellas Trail. Jo Cooey joined Baldwin Risk Partners as Information Technology Director in 2016. 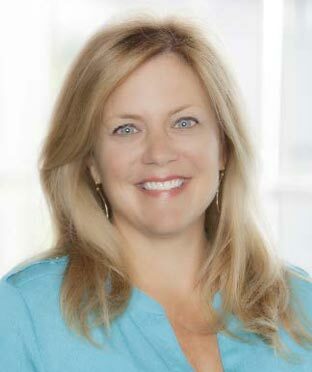 Prior to joining BRP, she served as Senior Vice President of Operations & Data Analysis for GeniusCentral Systems, Inc. As Director of IT, Jo is responsible for the overall strategic direction of technology solutions. She ensures the security of systems, data and assets, and drives client-facing innovation projects. Jo brings nearly 15 years of experience in all facets of IT. Jo received her BS in Internet Systems & Software Technology from Bellevue University in Nebraska. She also received an MBA in Business Analytics from the Kelley School of Business at Indiana University. She holds a Microsoft Certified Professional certification in the .NET framework and is ITIL Foundations Certified. She has been an active volunteer with Hands on Suncoast since 2007, serving a multitude of non-profit organizations across the Tampa Bay area. Jo and her husband David have three kids, three cats and two grand-dogs. 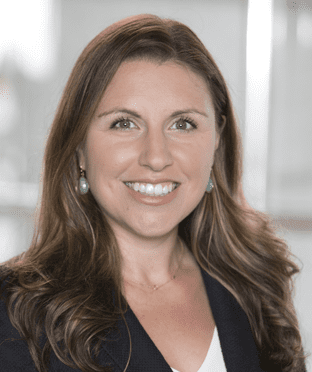 Rachel Carr joined Baldwin Risk Partners as Marketing Director in 2017. 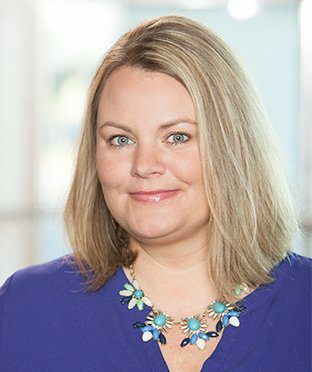 Previously, she worked for ten years at Cigna in progressive sales communications roles with a focus on enabling customer centricity and knowledge management as the company evolved to improve wellness and embrace the ACA. Before entering the healthcare industry, Rachel held positions at ESPN, NBC Rochester newsroom and the Advertising Club of New York. She has a Bachelor’s Degree in Communications from Alfred University and studied international advertising at Bond University in Queensland. Rachel is passionate about innovation and simplifying the landscape so clients can achieve peace of mind through their risk management investments. Rachel volunteers for the Junior Achievement program teaching children financial literacy and does fundraising for ALS TDI in memory of her father-in-law. She and her husband Geoff enjoy exploring their new home of Florida, boating and loving on their two kids – Ryan and Sydney.